As Election Day creeps closer, the rhetoric against Proposition 19–California’s marijuana legalization measure–is getting louder, weirder and more successful. The latest Public Policy Institute of California poll shows Prop 19 trailing 49% to 44% among likely voters, proving once again if you shout lies loudly and often enough, people will eventually begin to believe them. It’s hard to tell which tidbit of misinformation has scared California voters the most. I suppose employers aren’t comfortable with the idea that Prop 19 would protect raging dope fiends from being fired, as the anti-19 forces would have them believe. The notion that taxing marijuana sales will miraculously fail to produce any revenue for California or its cities is also a bit of a disappointment, I would imagine. But, I’ll bet the fear has something to do with kids and marijuana’s logic-defying reputation as the “gateway drug.” Because every junkie started with pot, the warning goes, legalizing cannabis will make it easier for your kids to buy and smoke the stuff, and in no time at all, those sweet little lads and lasses will become smack vampires who will drop out of school, steal from your purse and not show up at Thanksgiving dinner. Of course, by that logic, alcohol, nicotine, caffeine and polio vaccine are also gateway drugs, but there is no monetary incentive in banning those drugs, so they remain legal. At first, I was surprised that the searches led readers here; Craving Sense is a pro-19 blog. It indicated folks were having trouble finding slogans for the campaign to defeat Proposition 19. But every campaign has slogans, I thought. Was the “No on Proposition 19” drive the only wrongheaded campaign in modern history to go the distance without even trying to come up with a nice, punchy line that would thoroughly confuse and mislead people into voting “no”? Even though the latest polls show the Anti-19ers are doing just fine without them, I knew there had to be some “No on Proposition 19” slogans somewhere. But finding them meant I would have to go where the Forces of Darkness congregate. I would have to use phrases like “marijuana cigarette” and “taking the pot” just to blend in. This opportunity to bring a touch of sanity to the miserable failure that is “The War on Drugs” will not come again soon. Hell, I don’t even smoke the stuff, but every day my life is adversely affected by this counterproductive, cruel charade. As I slalom around the growing number of potholes in our roads, I think of the sheer waste of public money spent on enforcing this prohibition. I look at our crumbling schools that manage to graduate half of their students, while teachers–the ones who still have jobs–spend their own money on class supplies, and I think about the revenue that a regulated and taxed marijuana would produce. Most importantly, I think about the tyrannical chutzpah of a state deciding for its residents which substances are OK to get high on, and which aren’t. Then, of course, there’s that ever-present queasiness I feel about my tax dollars being used to lock people up for growing and smoking a substance that is proven to be less harmful than tobacco and alcohol. Proposition 19 looks like it’s headed for Nice Try-ville. The only thing that can possibly save it is your vote. Well, as everyone knows by now, Prop 19 did indeed wind up in Nice Try-ville. In the end, the prohibitionists prevailed 53% to 46%. To celebrate 19’s defeat, I’m sure they all went out and had a nice, legal alcoholic beverage or a few milligrams of highly-addictive, prescribed Valium, or any number of buzz-producing substances that make corporate manufacturers lots of money. Take heart, though; weed will become legal in the not-too-distant future. According to a Pew study, American support for the all-out legalization of the stuff has grown from 12% in 1969 to 41% in 2010–a major shift of public opinion. I suppose that’s part of what makes this loss so damned frustrating. In the meantime, pot smokers and personal-use growers will continue to be fined, arrested and jailed, Mexico will continue its devolution into murderous anarchy, and the Prohibition Sluts who financed 19’s defeat, will continue to prosper from this nonsensical restriction on Californians’ personal freedom. If it had been called, “The Personal Freedom, Kick the Cartels’ Asses & Help End our Tragically Futile War on Drugs Act,” Proposition 19 might have fared a little better. The current political climate in California is enough to make you fire up an industrial strength bong, and smoke yourself into oblivion. But don’t…at least not on November 2nd. 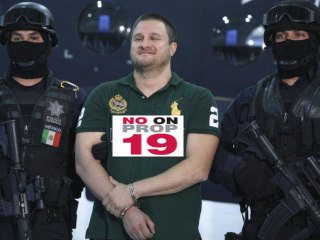 There is only one hope for Proposition 19. On election day, every regular user and casual toker of the devil-weed must drop that doob, and get to the polling place. In addition, every single Californian who believes the War on Drugs has been–and continues to be–a colossal failure, must make their disgust known to the “tough-on-drugs” vote mongers in Sacramento and Washington by pushing that chad (all the way through) for a big fat “Yes” vote on 19. Without the “smoker” and “fed-up” voters charging to its rescue, Prop 19 is doomed. If that doesn’t strike fear in the hearts of the personal liberty-minded, remember, this chance to bring a touch of common sense to our government’s lunatic drug policy will not come again anytime soon. While such prohibition profiteers as beer bottlers, prison guards unions and booze distilleries have anti-pot war chests bulging with dollars, pro-legalization groups like California NORML and the Drug Policy Alliance simply don’t have the resources to launch major political campaigns every election cycle. In fact, if it hadn’t been for Oakland Pot pioneer Richard Lee’s initial dollars and efforts, Prop 19 would probably be gathering dust in political Palookaville. With energized Republicans smelling blood in the water, and dejected Democrats sitting in a corner, preemptively licking their wounds inflicted by the predicted Republican massacre, California polling places will be teeming with people who think the movie Reefer Madness is a powerful documentary. But, if every Californian who believes this prohibition is wrong gets to his or her polling place, Prop 19 would sail to victory by such a wide margin, politicians from Modesto to Manhattan would be forced to take notice. Who knows, they might even start applying a little common sense to America’s drug problem. Less time and money spent by law enforcement on the arrest, prosecution and incarceration of people for using and growing a substance proven to be less harmful than alcohol and tobacco. New industry—new jobs. Tourism, Amsterdam-style coffeehouses, marijuana trade schools, designer roach clips and “limited edition” rolling papers–the possibilities are endless. [Last, but certainly not least] A major setback to the psychopathic, all-powerful narcotraficantes who are on the verge of destabilizing Mexico with money and guns from trafficking in marijuana–estimated to be 16% to 50% of their illicit drug revenue. The new Reuters/Ipsos poll has Prop 19 going up in, uh, smoke. With 53% opposing the measure, and 43% in favor. Historically, when a proposition goes into October with those kinds of numbers, things generally turn out very badly for that proposition in November. With all their time spent opposing mosque-building, the Employee Free Choice Act, and every decent proposal that comes up before Congress, I figured Republicans had finally used up their lifetime allotment of “No”. According to the poll, two out of three California Republicans are saying “no” to Prop 19. Though Democrats favor the plan 54% to 45%, it is nearly impossible to rise above those Republican numbers. It appears the “Party of Small Government,” wants a government small enough to deny extended unemployment benefits to onetime members of the once thriving middle class, but big enough to keep homosexuals from being married, women from controlling their reproduction, and everyone from smoking marijuana. I guess Republicans actually belong to the Party of Situational Small Government. When November 2nd rolls around, let’s ignore the depressing realities of California politics. Let’s pretend that Meg Whitman was unable to purchase her current neck-and-neck position with Jerry Brown, as the latest polls suggest. In fact, let’s pretend that Republicans are as clinically depressed as Democrats. Let’s energize ourselves into believing that our votes–the pot-smoker votes, the had-it-up-to-here-with-the-Drug War votes, and the fiscally responsible votes–will come together and save the day. California has millions of regular users of cannabis. Who knows how many social tokers there are out there? Toss in the Common Sensers, and you’ve got a potential voting bloc that would make Jerry Falwell jealous. Proposition 19 can win, friends. All we have to do is vote. According to the Washington Post, the Veterans Affairs Department has reversed its policy of denying pain medication to patients who test positive for marijuana. Of course, this only applies to patients who use medical marijuana in states that have legalized the drug’s medicinal use. Other veterans who test positive for cannabis—regardless of their reasons for using, regardless of the level of their discomfort—can still be forced to suffer needlessly by the very government they once served. Apparently, anti-pot videos and slogans weren’t achieving the desired results, so they decided to up the ante with a little agony. As evidenced by the VA turnaround, its “no pain meds for potheads” policy appears to be punitive, with no underlying medical contraindications. As in all medical facilities, patients at the VA are routinely screened for potential drug interaction. And no, cannabis is no substitute for Vicodin when it comes to pain. 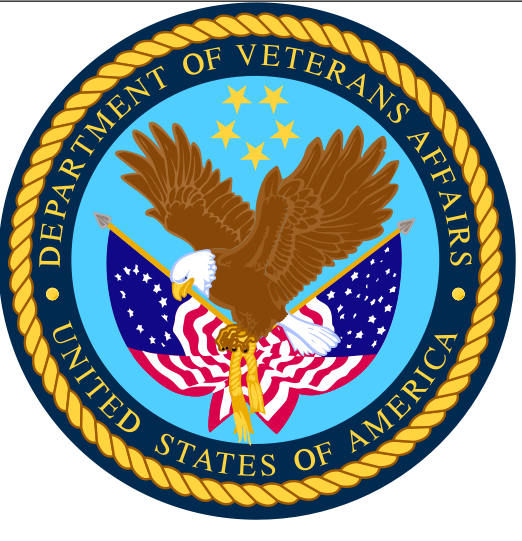 In a letter to Veterans for Medical Marijuana Access, Dr. Robert A. Petzel, the VA’s undersecretary for health, wrote, “If a veteran obtains and uses medical marijuana in a manner consistent with state law, testing positive for marijuana would not preclude the veteran from receiving opioids for pain management” in a VA facility.” What a guy. For the moment, forget the vindictiveness and jaw-dropping cruelty of intentionally withholding needed pain medication from anyone—let alone from those who put their lives on the line for us—and focus on the absurdity-begets-absurdity nature of marijuana prohibition. [do not attempt to read the following sentence while high] In essence, an arm of the federal government has now legitimized an illegitimate substance where (and only where) the substance has become legitimate. As a number of states contemplate decriminalizing marijuana use and personal possession, the VA move is a welcome, though half-baked governmental nudge in the right direction. However, until Congress drops its “tough on drugs” vote mongering and brings common sense to marijuana legislation, 25 million regular users (drugscience.org) and countless social tokers will continue to live in legal limbo–quasi-criminals caught between states’ rights and the federal Drug Enforcement Administration. In November, we Californians, smokers and non-smokers alike, will have a chance to send a powerful message to our feckless leaders with Proposition 19. Sure, the feds would still be able to make life miserable for pot users, but Prop 19’s passage would clue politicians in to two salient facts: We’ve had enough and we vote. California’s Marijuana Initiative in Trouble: What’s Wrong With Us? According to the L.A. Times, the most recent survey shows that opposition to California’s marijuana initiative is growing, putting the nays ahead of the yeas for the first time since Proposition 19 qualified for the November ballot. The Field Poll showed 48% of likely voters are now against the initiative with 44% in favor. “History suggests that chances aren’t good when you start out behind,” poll director Mark DiCamillo told the Times. Surprisingly, attitudes about the initiative seemed to break along ethnic lines, with white males evenly divided and Latino, African and Asian Americans opposed. “There just might be greater concerns within the ethnic community about the social effects,” DiCamillo said. Women also oppose the measure by 9 points. Yes, yes, I confess; like a zillion other Californians, I have been under the influence of pot…and hated every dry-mouthed, fearful, migraine-producing moment of it. I discovered early on that cannabis and I were never going to be friends so I hung up my roach clip for good a long time ago. Considering today’s prices, I’m glad we never hit it off. But a number of my chums, who were introduced to marijuana at roughly the same time as I, found pot to be an enjoyable way to relax and have a good time. Truth be told, I was a wee bit jealous and secretly thought their lack of paranoia while high was an indictment of my comparatively dysfunctional brain. As we went on with our lives, some of my pals gave up reefer because of the legal risk. Others, however, continued to buy and use marijuana for two simple reasons: they liked it, and they weren’t about to tolerate an arbitrary, pointless intrusion into their personal lives by moralists—or worse, by prohibition profiteers like cynical “tough on crime” politicians, the prison guards lobby and booze distilleries. I understood their point, but quietly wondered if the risks they were taking were worth it. Remember, not long ago it was a serious crime to be in simple possession of the stuff, and “felony arrest and conviction” does not look good on a resumé. But, even after marijuana laws were liberalized in 1975 it was still illegal to use it, and still criminalized enough to produce nearly 75,000 arrests in 2007 alone. Gradually, I came to admire my more stubborn friends for sticking to their guns. I mean, why was it that I could go to the liquor store and legally buy a fifth of cirrhosis and two packs of lung cancer, while my buddies had to synchronize watches and arrange secret trysts to purchase a much less harmful substance? Though I’ve known a number of people who have run into life-changing problems with alcohol, not one of my pot-smoking buddies has ever lost his or her marriage, career or health to out-of-control marijuana use. As with all mind-altering substances, I’m sure it happens; it just didn’t happen to any of my friends. Their freedom, however, was threatened every time they lit up. Call me naive, but I thought Californians had had enough of this cruel, silly proscription. I really believed the numbers would improve as November approached. I thought Prop 19 would have solid bipartisan support—that conservatives crying for less government intrusion and progressives alike would consider Prop 19 a golden opportunity to strike a blow for personal freedom while bringing some much-needed revenue to our state—not to mention the added benefit of damming a major tributary of the drug cartels’ cash and weapons flow. But, these new numbers are worrisome. They indicate that the well-crafted misinformation being tossed around is doing its job. Against all reason and experts’ findings, the anti forces tell us Prop 19 will lead to an increase in crime and addiction. I’m not really sure what “crime” they’re referring to (with pot legalized), and no credible study has found that Prop 19 would lead to more reefer fiends. Jeesh. This chance to carve a little sanity from the miserable lunacy that is the “War on Drugs” will not come again soon. Unlike the moneyed opposition, pro-Prop 19 organizations like California NORML and the Drug Policy Alliance do not have the resources to mount major political campaigns every election cycle. If Prop 19 is defeated in November we will all continue to pay the price for many years to come. Our state will lose the opportunity to develop a significant new source of revenue; We will continue to dump $170 million per year for the arrest, prosecution and imprisonment of marijuana offenders, and for the foreseeable future, millions of regular users (and countless “social tokers”) will be forced to choose between sneaking around like thieves in the night or involuntarily changing their lives by government fiat. As has been proven time and again, legislating morality by prohibiting mind-altering substances is fraught with unintended consequence. Banning booze created Al Capone. Banning drugs has put countless non-violent Americans behind bars, and created a network of psychopathic drug cartels so violent and wealthy that the stability of our next door neighbor, Mexico, is on the ropes. And now, the latest bit of governmental nannying—L.A.’s draconian crackdown on medical marijuana collectives and dispensaries—has added to the list of prohibition blowback by creating a new medical marijuana business model that has the D.A. and the L.A. City Council in a lather. “We deliver” is the new call of shuttered pot merchants who, rather than going quietly into the night, have gone the Domino’s Pizza route instead. According to the Wall Street Journal, while some closed pot shops wait quietly for the courts to lift the rules that shut down over 400 of the city’s pot collectives, others, like the 99 High Art Collective in Venice Beach, have simply gone mobile. Customer/patients of these dispensaries no longer have to leave the house. They just call in their orders for “Dragon’s Breath” or “Mr. Nice,” and wait for the reefer man. Yes, Mr. Cooley, and Domino’s Pizza deliverers are just pizza dealers. Neither products are particularly good for us, but they happen to be in demand by millions of Californians—often at the same time. As it happens, I am not one of those millions of Americans. I never developed a taste for pot because it gives me a headache and makes my mouth taste like adobe. But I know many people who enjoy the stuff—responsible, hard-working, tax-paying voters—who, instead of relaxing with a glass of wine or a martini after work, prefer to inhale cannabis. After years of being treated like thieves in the night, they have finally had enough—and they will vote accordingly. We can either continue limping down this mindless, destructive path of marijuana prohibition with new ordinances and restrictions, or we can decide to start treating ourselves like adults, and demand the dignity of making up our own minds about what goes into our bodies… and what gets delivered to our doors. Though Californians will decide in November whether their state will be the first in the nation to legalize recreational use of marijuana, the three leading candidates in California’s gubernatorial race have already made up their minds on the issue. Finally, a point of bipartisan agreement. Another thing all three statements have in common is the complete avoidance of any substantial reason for their opposition. Meg Whitman’s “we already have enough challenges” approach assumes that personal freedom granted to a large number of California pot smokers would be a problem. Somehow, the reduction in taxpayer spending on incarceration, the courts and law enforcement–plus the huge dent in the dope cartels’ cash stream that legalization would create adds up to a “challenge” by Whitman’s reckoning. Steve Poisner’s answer was simply an opportunity to recite the Republican tax-cut mantra—with an inane reference to “smok[ing] our way out of the [State’s] budget deficit” tacked on. I’m not even sure what that means. Actually, I’m not sure he knows what that mans. But since he brought it up, to completely disregard the tax revenue that would be generated by controlled, taxed, commercial distribution of a very popular drug is a wee bit, well, stupid. Brown also left a little wiggle room with his “not a provision I am likely [italics mine] to support.” Who knows, he may change his tune if the numbers supporting legalization continue to grow. The most recent polls show support for the initiative has declined somewhat, but no matter how you slice it, a whole lot of Californians think the ban on reefer should be lifted. Once again, it appears the led are leading the leaders. Though some California marijuana workers are joining a union, don’t expect medical marijuana bosses to be calling out the “gun thugs” and the Pinkertons anytime soon. With California voters evenly split on the upcoming initiative to legalize the recreational use of pot, courtship by the 26,000-member United Food and Commercial Workers (UFCW) could help lend an image of mainstream legitimacy to the pot trade before voters go to the polls in November. According to the L.A. Times, about one hundred employees at three Oakland medical marijuana businesses became the first pot workers to join a union when they announced Friday that they had become members of UFCW Local 5. “They want the community to understand them as decent, hard-working people,” said Dan Rush, director of special operations for Local 5. Richard Lee, owner of a number of medical marijuana businesses and a main sponsor of November’s pot initiative, welcomes the move to organize his employees. “It’s another validation of the idea that the cannabis industry is a legitimate industry that creates taxpaying jobs,” Lee said. In a further step toward legitimacy, Lee and the Local’s president, Ron Lind, are trying to win an endorsement for the November initiative by the powerful California Labor Federation. “I’m guessing there would be thousands of workers, if it passes,” Lind said. According to a Public Policy Institute of California survey taken last week, likely voters in the state now stand at 49% for, and 48% against the initiative. The new move to organize marijuana workers could very well find new support for the initiative from union members in general and members of the UFCW specifically. So, why does Lovell believe the initiative will fail? Will we voters suddenly remember the wisdom of throwing people in jail for using, growing or selling a substance that is enjoyed by millions and is less harmful than tobacco and alcohol? Maybe Lovell believes we will consider it a good idea to keep supplying huge revenue streams and guns to violent cartels by continuing to give them the opportunity to black market the stuff. Perhaps Lovell thinks California voters will choose to show solidarity with those who profit mightily from marijuana prohibition, like prison guards unions, alcohol distilleries and phony “tough on crime” politicians rather than realize the potential of a new tax windfall for our cash-strapped state. Then again, maybe Lovell is just saying what any good lobbyist for law enforcement would say—and he needs no real explanation. Ignite a joint in their honor; hum a Grateful Dead tune or something. Or imagine, if only for a minute or two, their storied treks into the wilderness in search of the green El Dorado known as the Lost Pot Farm of Point Reyes. Pay tribute to the fact that a dozen teenagers with varying degrees of THC coursing through their blood-brain barriers were even capable of meeting at a designated time (4:20 p.m.) and place (the statue of Louis Pasteur at San Rafael High School) to prepare for the day’s expedition by smoking even more dope. Then it was off to the Point Reyes Peninsula where they just knew they’d find the weed wonderland. They never did. But still, the Waldos’ story is a tale of adventure, camaraderie and balls-out motivation. I was writing a story about the influx of marijuana vocational schools popping up like marmosets across America when nostalgia and dread suddenly gripped me. It seems for every step marijuana takes toward the mainstream, it takes two steps away from the mystique and craziness that inspired the Waldos and other pot legends. Now, this doesn’t necessarily mean that the owners of these pot trade schools are all mercenary MBAs with anchorman hair-dos. In fact, I’ve heard that some of these schools are actually quite helpful and, unlike many trade schools, charge reasonable tuition. Still, institutions that advertise themselves as “California’s premier marijuana school,” and promise students “the training it takes to become a medical marijuana professional” sound about as Waldo as a Kenny G album. And, even if these owners aren‘t profit-mad weed weasels, make no mistake; the weasels are out there, frothing for the Great Commodification of Cannabis. In 1969 a miniscule 12% favored the legalization of marijuana. Fast-forward 40 years to March 2010 and the Pew Research Center for the People & the Press tells us that 41% of our countrymen now favor the out-and-out legalization of the stuff. Generally speaking, public attitudes tend to change at a sub-glacial rate, so this 39% change over 41 years represents a super-collider of attitudinal change. There are still a few demographic pockets that remain vehemently opposed to legalization, however. Guess who those folks are. Here’s a hint: In 15 years, most of the people belonging to the largest bloc of naysayers will have ceased to have opinions on anything. The others are self-described social conservatives, the folks who long for the days of back-alley abortions and quiet minorities. As adamant as conservatives are about keeping pot illegal, they are clearly fighting a juggernaut of opposition. Here in California, the pro-legalization numbers far exceed the rest of the nation, so it is possible (be still, my heart) that voters will legalize marijuana in California by passing Proposition 19 this November. Of course, even if pot does becomes legal in California, there will still be the ever-present DEA looking to throw every pot smoker, grower and seller in prison for the rest of his or her natural life on federal charges. But, if enough grease finds the right congressional campaigns, who knows, this damned prohibition could actually fade into history for good. And, where might that grease come from? Rumor has it that large tobacco corporations—the Weasel Kings of the Universe– have already staked out acres of prime pot-growing land throughout the country, just waiting for the green light. If they haven’t, something is seriously amiss with that industry’s R&D departments. All things considered, it will be a good bargain: We will sacrifice the mystique of marijuana for the end of this silly, cruel and destructive prohibition, and we’ll be better off for it. “Why on Earth would you want to add yet another mind-altering substance to the legal array?” asked John Lovell, a lobbyist for law enforcement groups. Uh, because a large number of Californians want to smoke it, and an even larger group want to see the state release its death grip on what people choose to put into their own bodies, John. According to the L.A. Times, state election officials are confident that the 433,971 petition signatures needed to put marijuana legalization on the November ballot will be more than met when L.A. County adds its own 142,246. The initiative only needed 15,000 more signatures. With L.A. County’s addition, the state will have about 127,000 more signatures than it needs. The arguments—for and against—are so familiar we could probably recite them chapter and verse by now. Pro: Legalization would cut the financial and social cost of prohibiting a substance that is less dangerous and addictive than alcohol and tobacco. Con: Marijuana causes marijuana-related crime and physical harm to those who ingest the burning weed. Also, marijuana use by teenagers is on the rise. “Marijuana-related crime?” What does that mean, exactly? The selling, growing and smoking of an illegal substance, I guess. Though it’s been a while since I took Logic in college, I’m pretty sure that circular argument is crushed by the weight of its own fallacies. Or are they referring to driving while high on the stuff? We already have very strict and popular laws against driving under the influence of any substance that impairs driving. If their “crime” refers to money stolen to purchase the insanely expensive stuff, well, it seems to me that legalization and controlled distribution of marijuana in the competitive marketplace would likely exert downward pressure on the price, and kick in a load of much needed tax revenue for California. Physical harm? At least this one makes some sense (inhaling tars and such), but the physical harm argument can be applied to Big Macs and Twinkies as well—two items that, as far as I know, continue to be manufactured, sold and used by people without fear of going to prison. 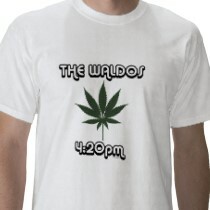 As for teenage reefer madness: It is easier for a kid to find a pot dealer at school than an art teacher these days. How would the legalization of marijuana–which would expressly outlaw sales to minors–make things any worse? I do not have a dog in this fight. My last social toke was some ten years ago, and I’m still working off the calories of both the Entenmann’s Pound Cakes I devoured that night. Though I spent the first half of my professional life working in the drug-fueled rock & roll business, I never developed a taste for pot. Even the comparatively impotent stuff of yesteryear was enough to give me terminal dry-mouth, headaches, and a deep and abiding fear of everything. Audiences, hummingbirds, my left hand—all seemed to take on a certain menace when I was in the grip of that $10-per-lid devil-drug. However, through the bad breath and terror, I did recognize the pleasurable aspect of the drug’s effect from time to time, and understood why some people — people far better adjusted than I — might enjoy it. My concern is prohibition itself—the state’s totalitarian chutzpah of determining what one may or may not put into his or her body. We tried that with alcohol a few decades ago and got a thriving underworld and thousands of deaths by bathtub gin in return. There seem to be two main groups actively supporting marijuana prohibition: The Moralists (thou shalt not do anything I don’t do) and the more formidable, well-heeled Prohibition Sluts–the ones who have gotten rich from the continued ban on the drug: Drug cartels, booze distilleries and prison guards unions, to name a few. The cartels protest the decriminalization of marijuana (and any controlled substance) by their very existence; The end of pot prohibition would put a big dent in the revenue stream of los narcotraficantes. The other Sluts, whose investment in drug prohibition continues to pay handsome dividends, take the more traditional route of politician purchase and public relations. But, the longer and louder they protest against common sense decriminalization, the weaker their arguments seem to be. Some of my good chums use pot a lot. Though I don’t understand how they’re able to do it without diving into bed and pulling the covers over their heads, smoking it should be their inalienable right, whenever they choose, for whatever reason–medical, spiritual or just plain old fun. Judging by the tally of signatures, I’m not the only Californian who feels that way. It’s dope cop Valhalla in California. 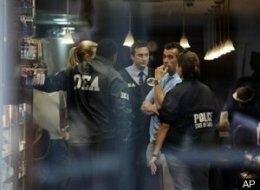 Obama sets ‘em up; the DEA locks ‘em up. Evidently, the memo sent out by the Department of Justice reiterating Obama’s pledge to keep federal drug enforcement away from state-legal, medical marijuana growers and dispensaries didn’t make it to a number of DEA in-boxes. According to a story at the Huffington Post , immediately after Obama’s inauguration, the DEA showed Obama what it thought of his no-bust policy with a raid in Lake Tahoe on January 22 (2 days after Obama was sworn in); 5 raids in L.A. on February 5; and1 in Fort Bragg on February 11. When Attorney General Eric Holder got news of his underlings’ feeding frenzy he “spoke out in late February,” reminding the DEA of his boss’ policy on medical marijuana. Apparently, Holder’s message had a 5-month sell-by date, because the DEA was back in full flower by August when agents hit a dispensary in Upper Lake, California. Then, in what must have been a spectacular display of watch synchronization and hushed “roger thats,” they helped local law enforcement take down at least 20 San Diego clubs in one day on September 9. A story out of Colorado further demonstrates the ominous beauty of the government’s double standard on medical marijuana. According to 9News.com, Colorado-legal pot grower Chris Bartkowicz had been a subject of a Channel 9 News story about medical marijuana cultivation in Denver’s suburbs. Last Thursday, the station ran a tease featuring Bartkowitz. The next day—before the full story even aired—agents from the Denver branch of the DEA swooped down on Berkowitz’ operation, arresting him and seizing his inventory and growing apparatus. It’s “good cop-bad cop” on a grand scale. The Obama administration lulled this grower into a false sense of such security that he agreed to do a TV interview about his business. All the DEA had to do was watch the local news to put Bartkowitz in handcuffs and federal, mandatory-minimum territory—a potentially life-destroying place. Did the DEA’s blatant disregard of the President’s policies cause Obama to hit the roof? Did he rake Holder and DEA commanders over the coals for such blatant displays of poor management and insubordination? According to Salem-News.com and Change.org, Obama has quietly nominated Bush appointee Michele Leonhart, currently Special Agent in Charge of the Los Angeles Field Division, to become the next head of the DEA. Leonhart is not just a dope cop. She is a zealot. While she was orchestrating raids on Los Angeles cannabis clubs, she also managed to find time to block top university medical researchers’ requests to determine marijuana’s medical efficacy. In other words, Leonhart, who has been characterized by the Drug Policy Alliance as “Ashcroft’s Mini-Me,” is not just intent on enforcing federal marijuana laws, she is also dead-set against finding out why those laws may be wrong. After all the campaign pledges and pro-medical marijuana rhetoric, Obama’s choice to head the DEA is, to say the least, confusing. But, one message is crystal clear: if you sell or grow legal medical marijuana, don’t do TV.